According to energy.gov, the average American spends over $3,000 per year on energy bills. Homeowners can really feel the pinch from running their HVAC systems in the summer and winter. Paying high utility bills month after month is frustrating, and you’ll need to get to the source in order to correct the problem. If your attic isn’t properly insulated, energy can easily escape your home. It’s very important that you fill any nooks and crannies with insulation for best results. Whenever you need to access your attic for storage or other purposes, be sure that the door is tightly closed when you’re done. It comes as no surprise that old windows can take a toll on your bank account. A study from the U.S. Department of Energy concluded that consumers lose $35 billion per year due to inefficient windows. Windows slowly lose their energy-saving benefits over the years, and outdated windows literally allow energy to escape through the frames and sashes. If you’re in doubt about your windows’ efficiency, there’s a simple test you can do for drafty windows. 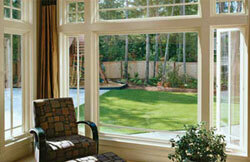 Close all of your windows and doors to ensure that there is no air from the outdoors flowing into your home. You’ll also want to close any vents around your home to prevent further airflow. Next, light an incense stick and hold it close to the edges around your windows. An air leak will cause the smoke to draw in toward your window, which is caused by outside air that is making its way into your home. If the smoke doesn’t move, there is likely no air leak from that specific windows. 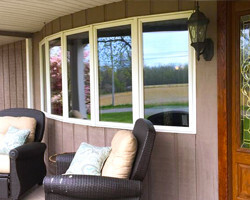 Another place for energy to escape is entry doors and patio doors. New doors are designed with a weathertight seal to keep unwanted airflow out of your home. Furthermore, your doors should fit snugly within their frames, and you should not be able to see any outdoor light around the edges. You’ll typically find the biggest gap at the bottom of the door—and if you feel a draft, you’ll want to consider replacement. When you’re ready to lower your utility bills and make your home more energy efficient, call for a free estimate at 704-594-1900.